In a chic atmosphere, recommended for adults is a pierced earring. Piercing silver earrings silver It is the appearance of the silver version of Matsubotokuri Series! 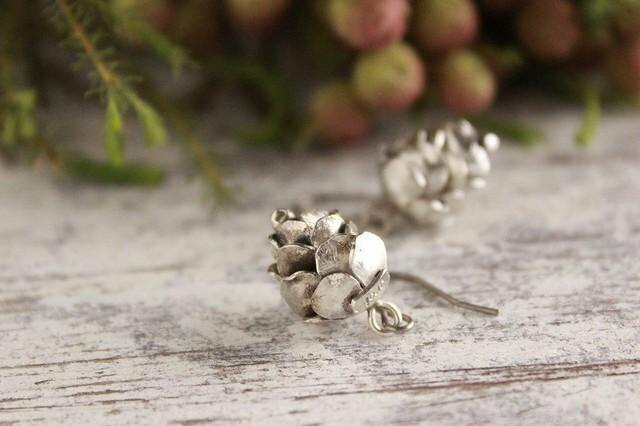 It is perfect for winter pink earrings of silver color. I finished in a different noble atmosphere with brass type. Silver Piercing metal part: titanium **Purchase notes** * Since we are making everything by hand, please understand as the one point which color and shape differ slightly for each work. * Please confirm the "size" and "material" of the work before purchasing.